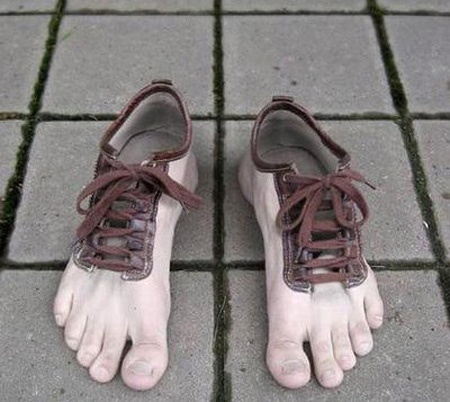 Here’s my “Freaky Friday Fashion” pic for the week, feet shoes. The toes look so real, it’s kind of gruesome. Anyway, you won’t catch me in a pair of these. Why? Because they are totally creepy. Like, oh my God! Gag me with a spoon creepy! 100% guaranteed to make you look and feel like a heel.